The first time I met the marvellous Brazilian Marcelo Soares was two years ago, in the first GYAC Forum in Brussels, Belgium. We were together in the young journalists team and the forum lasted for only less than a week. But intense events like the forum can make people feel so much attachment towards new-found friends. In 2010, he was a seasoned freelance journalist who had deep passion towards building database for journalism, and was very proud for one database he’d just recently built. He was a translator for numerous superheroes comics. He had a wonderful sense of humour, joyful personality, and incurable attachment towards Deep Purple, Marvel universe, and good music. In 2012, he still has almost all of those features — except that he’s now working full time for Folha, the top newspaper of the country. The very same place where his career as a journalist started. “I was trained here, and now I’m the one training the new journalists,” he said. It was his job which made him had to cancel the plan to participate in the second GYAC Forum in Nairobi last year. I was kinda sad but hey, it was just a postponed reunion. Because finally, I met him again two weeks ago! And I’m lucky because he was having his days off when I was in town. He brought me around the city, showing landmarks, his favourite places, and the culinary treasures. 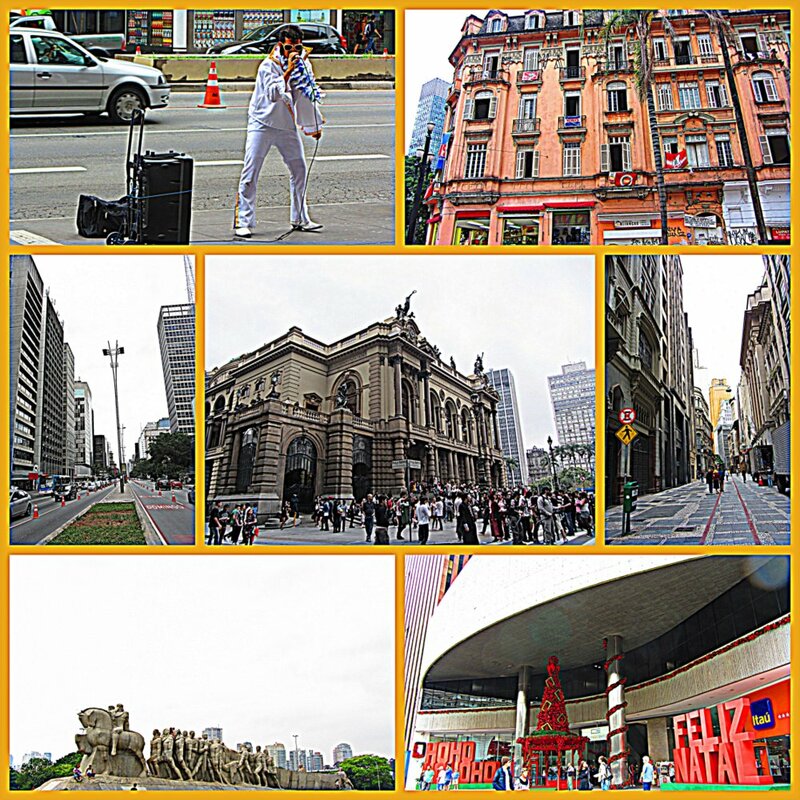 We went to Praca de Se and saw the cathedral, came across the opera house and caught in between the Zombie Walk, tried delicious sweet rice dessert in the oldest cafe of Sao Paulo, Cafe Girondino; went through the now-104-years-old-Niemeyer‘s S-shaped COPAN building, walked upon the pedestrian-on-weekend highway, stopped by Santa Cecilia’s foodstalls to try churros and supersweet cocada, greeted his adorable cats in his apartment, and zoomed to an amazing Bahian restaurant where I first tasted carajes and cachaca. I went back to my hostel feeling superhappy and superfull. The next day we met again in the bookshop Livraria Cultura, then walked a bit to his favourite bakery, Pao de Lo, which served heavenly pastries indeed (the folhada with guava jam is to die for! ); walked into the lush greeneries of Trianon Park, then had lunch in the hot dog joint Black Dog — which thank God provided a soy version of the huge sausage. It was not a regular hot dog for sure. The small portion was pretty big, with not only sausage and lettuce but also corn and mayo, with melted cheese closing the gap on the bread. No wonder the joint progressed fast from mere food cart to two-storeys building we visited. Later we went separate ways as I explored the city on my own while Senhor Soares translated another heaps of superheroes-in-tights series. The city resembled a better version of Jakarta: grey, millions of people, too many cars, traffic jam, but blessed with a subway system and the buses do stop only at bus stops. Unlike home, where every inch of the street is bus stop. Haha. It’s a city on the hills so the temperature was not as warm as I expected, only around 16-22 degrees Celcius. 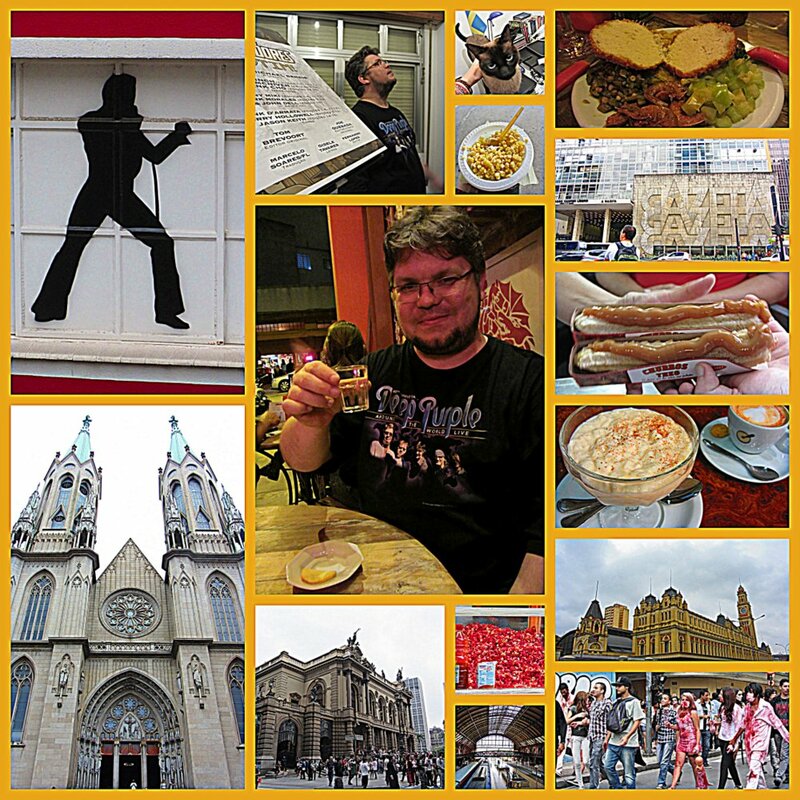 But it was way better than Budapest, of course, which dipped into zero when I left it for the trip to Brazil. However, every reunion must come to an end. In the third day, I met Marcelo again for brunch in Pao de Lo, gave him some mementos from Budapest, a big hug, then left with the airport bus to catch my flight to Brasilia. Sao Paulo is not Rio de Janeiro, of which I had not the chance to visit, but I’m very glad I came for a very good friend named Marcelo.